Phonte has been a champion of the underground for over a decade now, and Drake makes it no secret that Te&apos;s combination of rapping/singing is a direct influence. His group the Foreign Exchange with producer Nicolay was once viewed by Little Brother fans as a side-project, but has now blossomed into a Grammy-nominated outfit. The group&apos;s Authenticity Tour wrecked stages across Europe, and is now coming stateside. The tour starts Friday, April 22 in Falls Church, VA, takes a two week break, then makes 13 different stops across the country. More West Coast dates are expected to be added soon; we&apos;ll keep you updated. The shows will feature a live band, singer Sy Smith, and, for the bulk of the tour, keyboardist/producer Zo!. 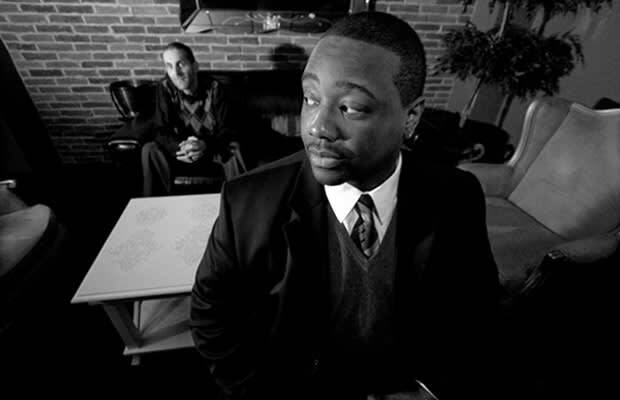 Phonte and Zo! are a duo as well, so perhaps they&apos;ll play cuts from their Love the 80&apos;s project or a hilarious leak or two.